What value will this add? Do I already have anything fulfilling this purpose? Consider a “one-in-one-out policy” (where kids can swap out an existing toy for a new one – in order to keep the toys to a minimal number (for example: 15 toys). 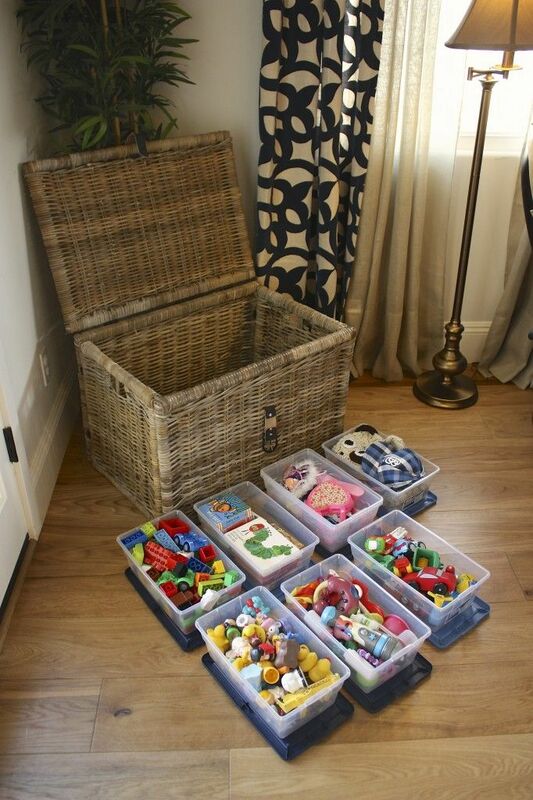 You can still make use of traditional toy chests, but first organizing your child’s toys into containers. It’s essential that the toys fit in nicely and are easy to take in and out as well. Another important step is to label each container clearly. Storage shelves are the more popular design choice for organizing children’s toys. They are low enough for a kid to reach and allow for easy access to the buckets. I love how these are labelled with pictures instead of words in order to accommodate toddlers and smaller children. 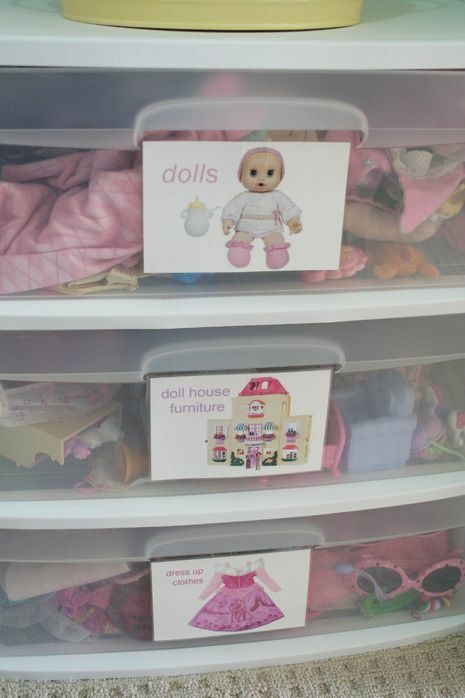 This is an affordable way to organize toys by their categories. I like the close up on the labels here, which shows both pictures and words. These storage units can be found at Walmart or on Amazon. 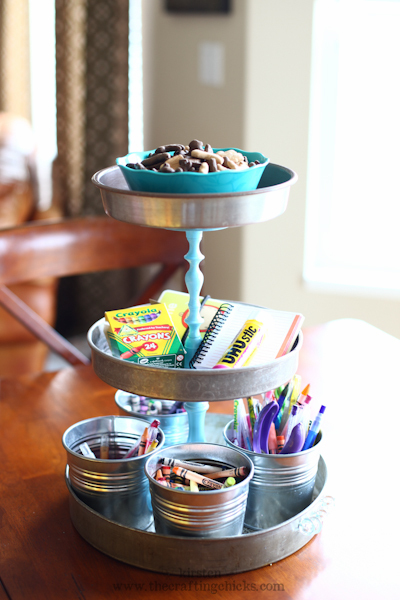 Kids love to create, so make sure you organize some drawing and craft supplies ready and available for kids to use. I use shoe organizers for all kinds of things, including cleaning supplies! 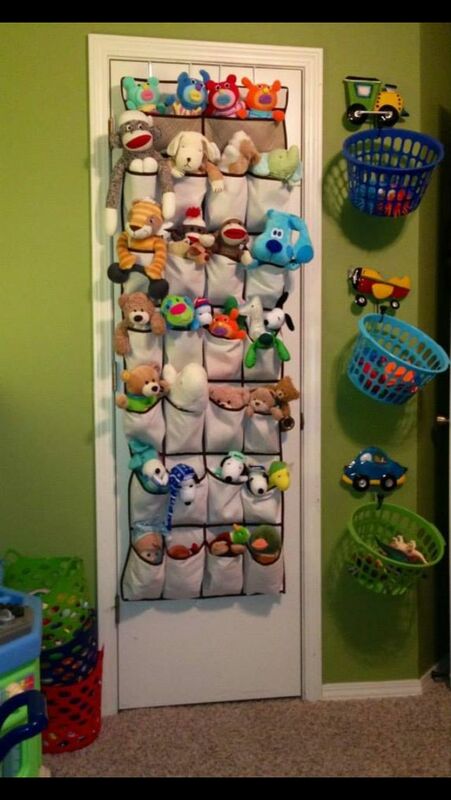 It’s a great way to organize stuffed animals or other oversized toys. The best part is they fit snugly behind any closet door. The only downside to this is that portions of it may be high for kids to reach, which means they’ll need assistance. Ikea’s magnetic knife rack is functional for many purposes! 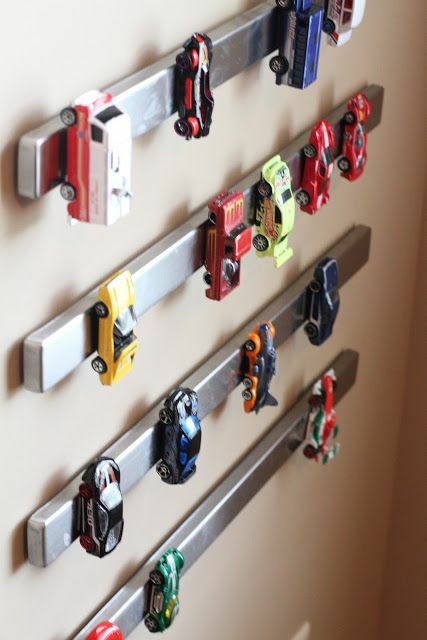 I specifically love the way it’s used in this picture to organize toy cars. If the magnet is strong enough it could also hold tin cans as organizers for things like lego or crayons. I like that this doesn’t take up any valuable shelf or closet space, simply fix it to your wall as a trendy design :). 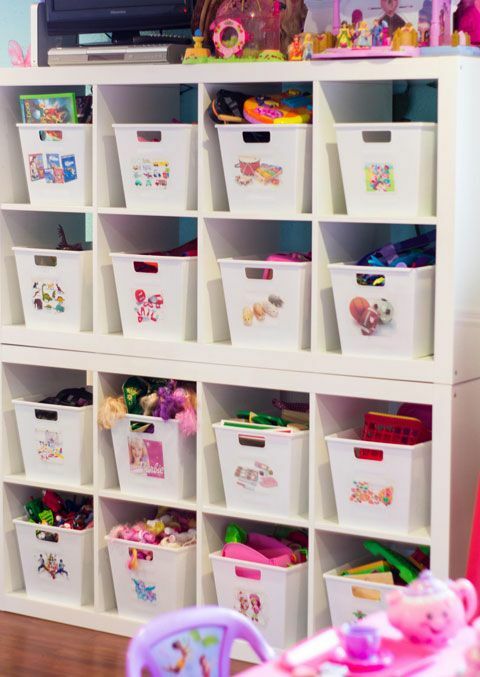 How do you organize toys in your home or classroom?